Xbox 360's IPTV expansion imminent? A blunder during a routine Xbox 360 repair has revealed that Microsoft is gearing up to launch its IPTV service on the console. After a man got his Xbox 360 back from Microsoft, he noticed a new IPTV option in his dashboard menu. After games blogs gossiped about the news yesterday, Microsoft issued a statement that again confirmed that an IPTV service for the Xbox 360 is in the works. 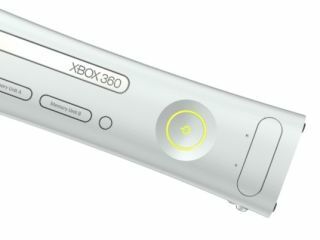 But it has denied that the service will be part of the 360's next major firmware update. "This was an isolated incident where these features were inadvertently exposed while the customer's console was being serviced and is unrelated to the Fall Update," said Microsoft. "Xbox 360 with Microsoft Mediaroom (IPTV), will be available to service providers by the end of the year. Internet Protocol Television (IPTV) features will only be available from the Xbox 360 through a service provider who has deployed Xbox 360 with Microsoft Mediaroom (IPTV) services," said a Microsoft spokesperson. Microsoft first announced its IPTV intentions at CES in January, saying that the Xbox 360 would be able to receive a live, high definition TV signal, as well as provide a platform for blockbuster movies on demand. The target date? The end of 2007. Xbox 360 owners in the US already have access to the "blockbuster movies on demand" part of this pledge via the Video Marketplace. Microsoft's Mediaroom software (formerly known as IPTV Edition) already provides high speed TV streaming and on-demand video for Verizon in the US and BT in the UK. So any tie-up for IPTV on the Xbox 360 will ultimately be linked into BT's fledgling BT Vision service.